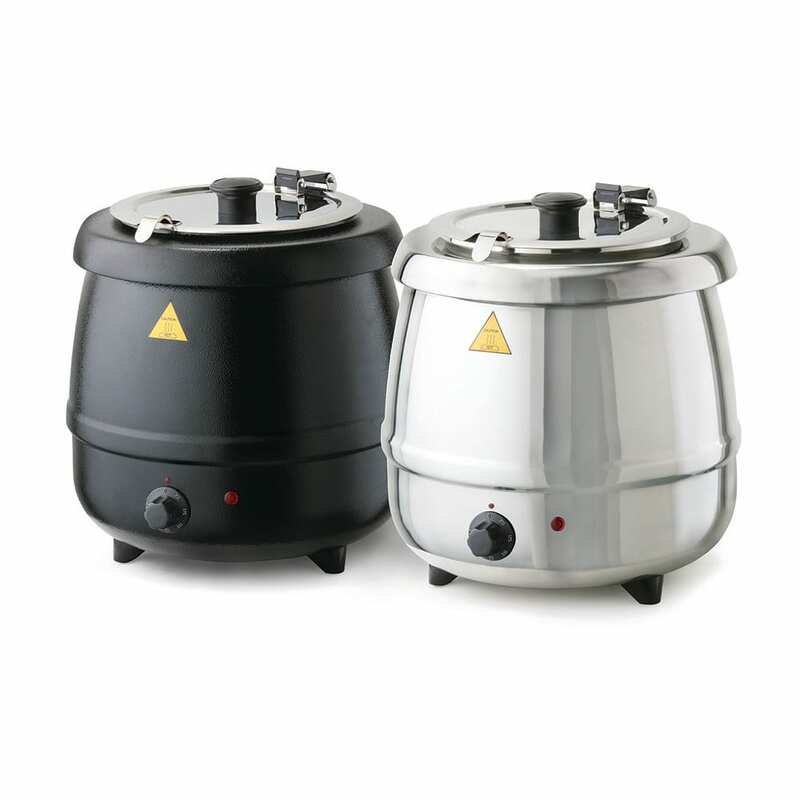 With a 101⁄2-quart capacity, the Tomlinson 1024107 cooker warmer will feed many people with just one pot full. With an black powder-coated steel shell, stainless steel insert, and stainless steel ladle, this soup warmer cooker is attractive, durable, and easy to maintain. You can cook and warm your product in just one kettle, making serving and preparing easier for you. Thermostatic controls allow users to adjust the kettle's temperature up to 205 degrees Fahrenheit to make this warmer cooker versatile in the types of products it can heat and serve. The Tomlinson 1024107 cooker warmer will rethermalize refrigerated product at 35 degrees Fahrenheit to 160 degrees Fahrenheit in 42 minutes. Rethermalizes refrigerated product from 35-160 degrees F in just 42 mins. "These rethermalizers are fantastic. I started with 3 of them for catering/vendoring, liked them so much I bought 3 more. 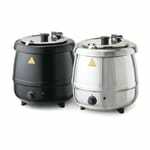 They are fast cookers, a..."
"These rethermalizers are fantastic. I started with 3 of them for catering/vendoring, liked them so much I bought 3 more. They are fast cookers, and having a heat dial that actually shows the temp instead of just a number relating to power is very nice."